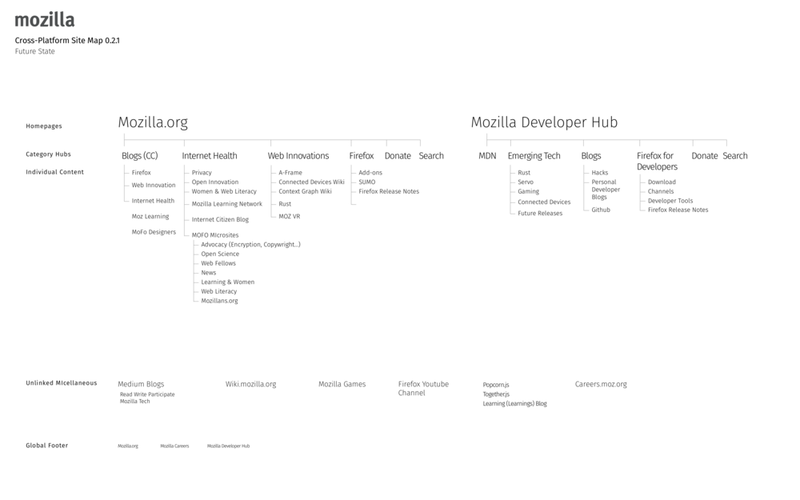 For Mozilla I provided consulting services in the form of a cross-platform information architecture audit. They brought me in to influence a sprawling brand ecosystem and develop a new navigational structure across all existing and future properties. I audited their entire ecosystem, distributed new content maps of the current ecosystem, and proposed a new state of organization. To aid my clients in their decision making, I built clickable prototypes for the internal stakeholders to use in testing the proof of concept. I analyzed every website, and assessed where it should sit within the higher information architecture that links sites together. This included strong consideration of ways to incorporate the Mozilla developer network, which has millions of visitors a year. 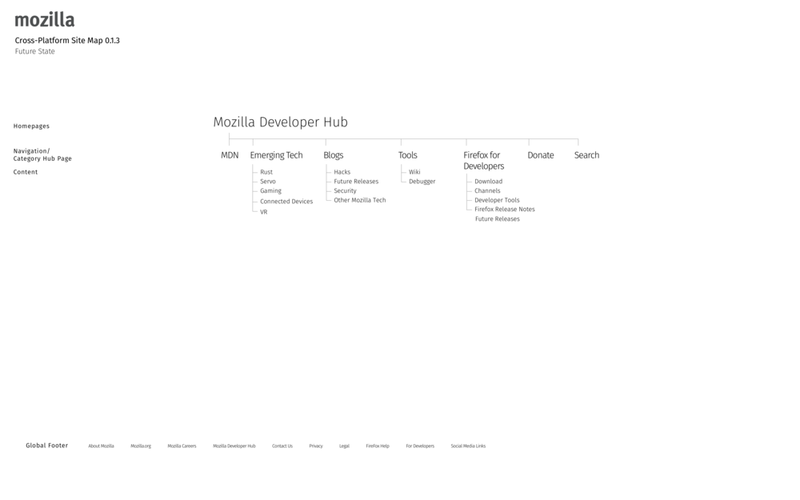 The resulting design deliverables were successful in communicating a new navigation solution to Mozilla stakeholders just in time for their rebranding initiative.